The dragonspyre pirate: What irl world is Dragonspyre? First check out an old post on it from an amazing friend who sadly is no longer in the community, I owe a lot of my success to her to be honest. While I hate to disprove her and all the research she did, she didn't consider the poetic aspect of it. Yes, she is probably right on what its SIMILAR to, but not what it really is. Dragonspyre is in fact, just a fantasy world, made up, its not real in real life. Keep in mind, while KI does like to take pages from history, they keep it at least recognizable to everyone. The closest irl thing I can think of for Dragonspyre is the fall of East Rome. However that doesn't make much sense since East Rome survived, Dragonspyre on the other hand did not, its been completely forgotten by most of the spiral, and for good reason. But enough of that, lets go into what Dragonspyre really is. Dragonspyre is in fact, just a poetic reference to the current Malistare, A man stuck in the past. See the tragedy of malistare post for reference. But lets look at the inhabitants, like malistare they are all stuck in the past. Ghosts, fighting a war that is over. They send you on quests to fight an enemy that has already won. They can't see the present for what it is, and their future is gone. Just like Malistare. 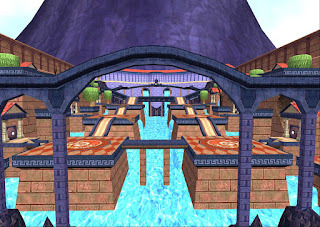 The people of Dragonspyre are a reference to Malistare, stuck in the past, and focused on avoiding loss. Now look at the architecture, its very fancy compared to most worlds, and if you know Malistare he used to be an elegant man, refined tastes, and fancy to say the least. But now he is broken and ugly, and full of fiery rage. Just like Dragonspyre. Wherever you go in Dragonspyre you see broken ruins, and if when did Dragonspyre past you found out it was all once beautiful. Just like Malistares old life. And lastly, Dragonspyre itself, its a dangerous world that could hurt many more than it already has, just like Malistare. My theory is that Dragonspyre isn't a world in real life, its just a reflection of Malistare's story. It may draw some references to in real life places, but at its core, its a poetic world, a world that sought power and destroyed itself, just like Malistare sought power and destroyed who he once was.